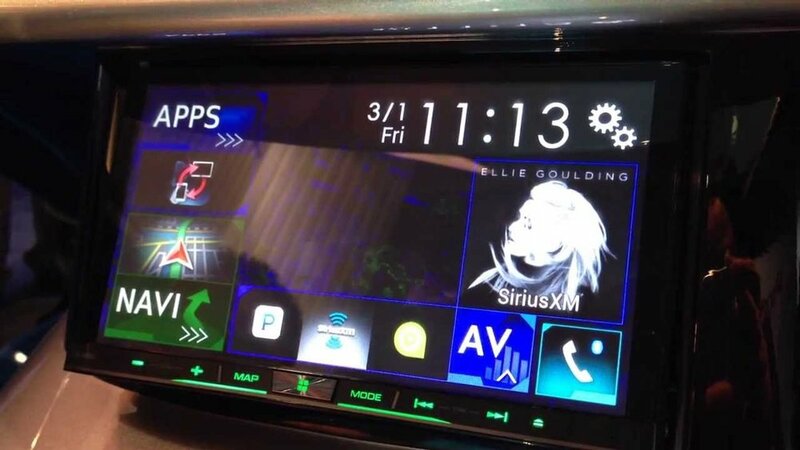 Want Android Auto, but own a car unequipped with the requisite hardware? Pioneer has your back. The manufacturer announced three Android Auto-ready aftermarket dashboard receivers today – the AVIC-8100NEX, AVIC-7100NEX, and AVH-4100NEX. Each entertainment system comes equipped with 7-inch touchscreen display of an undisclosed resolution, Bluetooth and HDMI connectivity, plus a built-in microphone and wires for integration with any pre-installed steering wheel controls. Crucially, all will still play nicely with iOS devices; they retain the CarPlay compatibility introduced with the previous generation. The variants differ only in touchscreen technology and inbuilt navigation features. The AVIC-7100NEX trades the capacitive screen for resistive, and the AVH-4100NEX omits Pioneer’s proprietary mapping software. All those features don’t come cheap – the top-tier model, the AVIC-8100NEX, costs a hefty $1,400, and even the entry-level receiver (the AVH-4100NEX) carries a $700 price tag. Still, if you simply must experience Android Auto, it’s definitely cheaper option than buying a new ride.